An hour glass shaped burb cloth to through over your shoulder during burb-times. 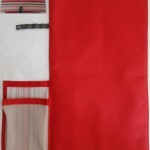 These are made from absorbent microfiber towel and cotton. This handy changing mat is a fold-able, waterproof changing mat with a pocket for both your wet wipes, bum cream and nappies. This mat is perfect for travelling, as well as for every day use. 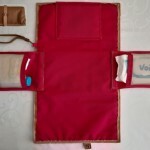 The handy changing mat is a foldable, waterproof changing mat with pockets for both your wet wipes and nappies. This mat is perfect for travelling, as well as for every days use.